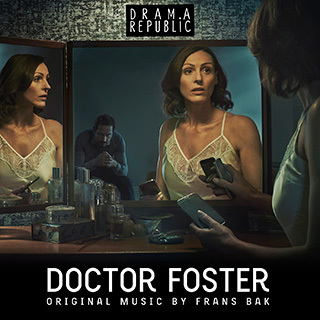 Doctor Foster is a gripping new five-part drama series, commissioned for BBC One and written by award-winning playwright Mike Bartlett, featuring music by Frans Bak whose previous work includes The Killing. Broadcasting on BBC1 from September 9th 2015. Doctor Gemma Foster (played by Suranne Jones) is a woman in control: she’s a respected GP, the heart of her village, a woman people can trust. But Doctor Foster’s life is about to explode. When she suspects her husband (played by Bertie Carvel) has been having an affair, she’s determined to find out the truth. Gemma throws herself into an investigation that will propel her, her family, and even some of her patients, into chaos. Bit by bit, Doctor Foster uncovers secrets that shock her to the core. Now she has to choose how to react. And one thing is certain – she is going to behave in ways she could never have imagined. This is a drama with an intelligent, empowered woman at its centre – one with a huge battle on her hands, both in her personal and professional life. Doctor Foster’s psychological and emotional journey will be complex, compelling, and utterly gripping. Silva Screen will be releasing Frans Bak’s soundtrack to the series on 25th of September. Bak is a Danish composer and musician who became known when he scored the Danish series “Forbrydelsen”, which was remade into the highly successful crime drama, “The Killing”, to which he also wrote the soundtrack. Amongst numerous commercials, short films and feature films, Bak was nominated for three Academy Awards for “Ernst The Light”, “Sweethearts?” and “Helmer & Son”.